Beaver swimming in a pond, Wrangell - St. Elias National Park, Alaska. 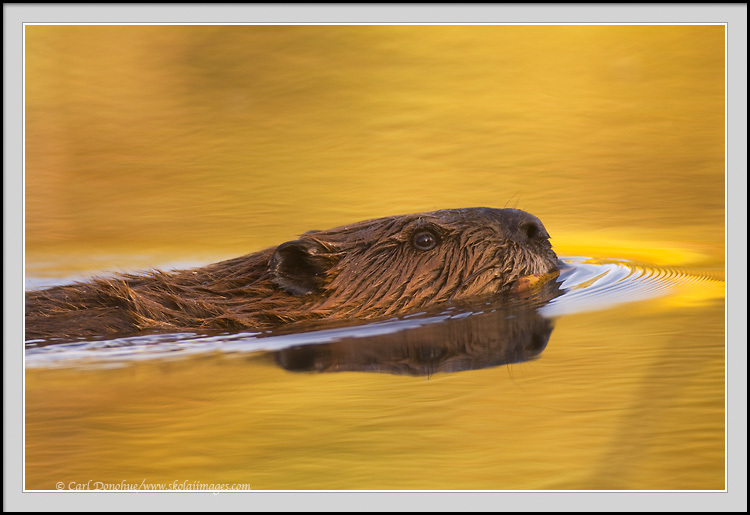 A beaver swimming in a small pond in Wrangell - St. Elias National Park and Preserve, Alaska. (Castor canadensis).